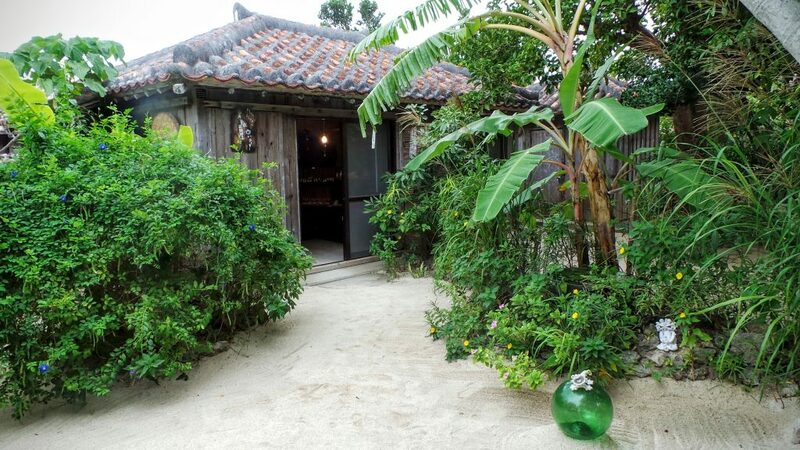 Taketomi island is the most picturesque of all Yaeyama islands. 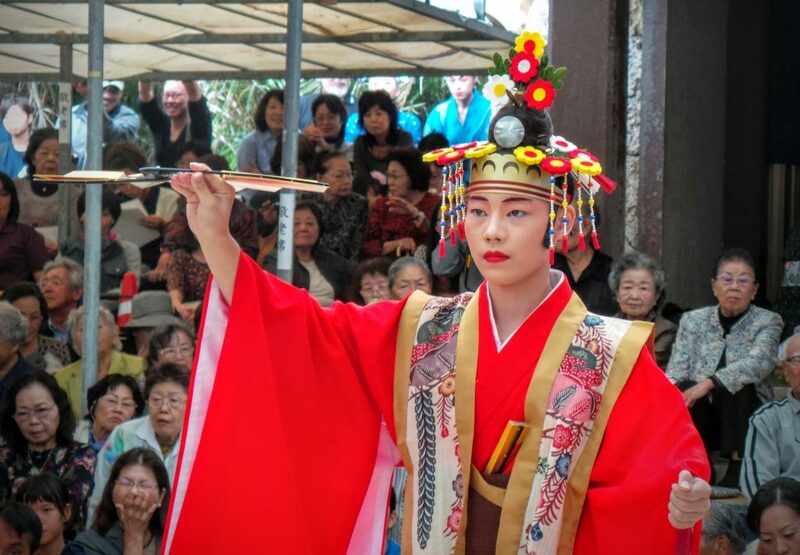 The government puts a lot of effort in keeping the islands historical atmosphere and culture. 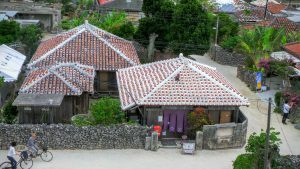 This is why the village still has that traditional Yaeyama feeling with red roofed houses and sand paths. Local people also value their cultural heritage. The island is small and perfect for a day trip. For a longer stay the island has a few hotels and minshuku. No wilderness and mountainous areas like Iriomote. 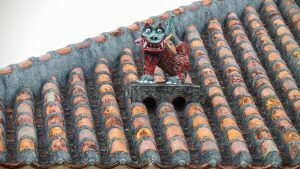 Narrow sand paths, traditional houses and red roofs with shisa instead; the typical guardians of the house. 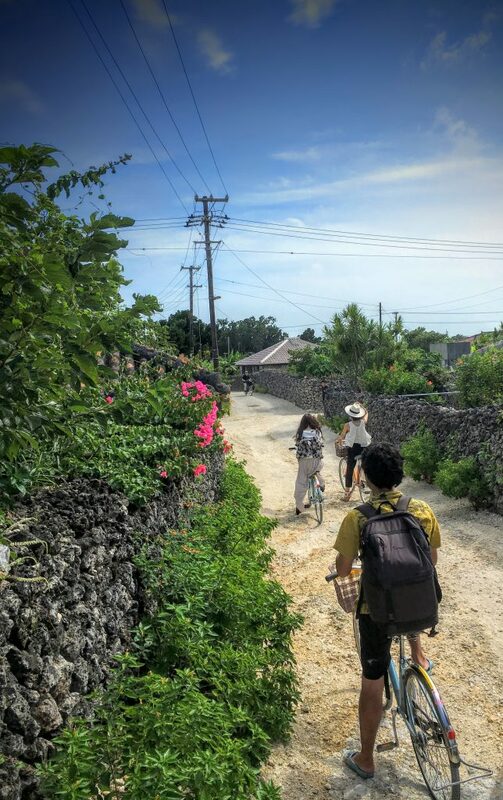 Taketomi is small, so exploring the island by foot is fine. Renting a bike though is a much more popular way to go round. It’s easy to rent a bike at one of the local bike rentals for about ¥300 for an hour until ¥1500 for a whole day. The bike rental company has a free pick up and return service to/from the ferry terminal. Read about the best beaches here. The center of the island is about 10 minutes from the ferry terminal. Around here you can find souvenir shops and restaurants. The main tour here is a waterbuffalo cariage ride going round the center (10 minute ride). This is good to do with kids. During the ride, a sanshin player sings and plays a traditional Yaeyama song. If you book this tour, the company offers a pick up and return service to the ferry terminal (included in the price). From Ishigaki to Taketomi it’s a 10 -15 minutes ferry service.